Our Lemosho Route is eight days on the mountain with including one day of acclimatization. Your climb is carefully paced and our guide’s wisdom and experience assist you each day in reaching your goal. (Our Galloping Safaris Limited Mountain guide, Justine Mollel, James Mollel & Bernard Mtey has achieved over 100 summits but who’s counting). It’s a combination of Justine’s expertise plus careful acclimatization that give our guests a 98% summit success rate. Talk to us about adding on a safari extension, exploring the hidden world of Ngorongoro Crater or the vast Serengeti. Day by Day Itinerary – 8 Days on the Mountain, 1 Day of Acclimatization. 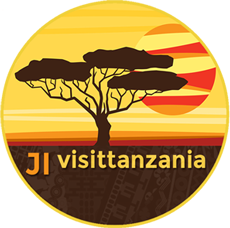 Approximately 4,500 feet – Approximately 1,370 meters – After a day’s journey by air, you arrive in Tanzania at Kilimanjaro Airport. Your mountain guide will greet you upon arrival with a sign that has your name on it. You drive out from the airport to Mount Meru Resort. Dinner will be served shortly after you arrive. Dinner and overnight at Mount Meru Resort. Approximately 9,300 feet/3,048 meters – hiking Time: 3 to 4 hours – Breakfast at Mount Meru Resort. Drive three hours from Arusha to Londorosi gate at Kilimanjaro National Park. Complete required paperwork at the park entrance and then begin your trek on the beautiful Lemosho route – a highly scenic and lesser-traveled route that offers an additional day for acclimatization (compared to the popular Machame route). Before you arrived we checked and rechecked our mountain gear. The cell phones are operative. The hyperbaric bag is tested and functioning and the oximeter has been checked and packed. The food, shelter, cookware, water filter, and dishes are all packed and ready to go. Our porters will carry all but your water bottle, jacket, and camera. Once you arrive at the trailhead your guide will introduce you to your climbing crew and his assistant guide. Begin with a gentle climb up through the original montane forest carpeted with unique “busy lizzie” flowers, begonias, and ferns. The forest is a lively place, home to monkeys, colorful birds, and an occasional elephant or buffalo. From the forest edge trailhead at approximately 7,000ft (2,122m), we will walk about 3-4 hours through the undisturbed forest to our camp for the night. With luck you will be able to see Colobus monkeys and at least signs of elephant on your walk to camp. The Lemosho route presents many scenic wonders. The ascent today will be about 607m/2,000ft. Dinner and overnight at Forest Camp, also known as Mti Mkubwa or the Big Tree Camp. Lunch on the way with dinner and overnight at Forest Camp. Approximately 11,500 feet, approximately 3,505 meters, hiking time: 6-7 hours – Taking our time walking through the forest will help us spot some of the plentiful game and bird life, and you will learn all about the unique flora and fauna. The day’s hike will take us through the Montane Forest and the Hagenia zone through lush rolling hills to our camp located on the Shira plateau at 3,426m/11,300ft. We will point out the unique environmental differences that characterize these separate equatorial zones. The views of Kibo along today’s route are spectacular, offering many opportunities for photos. The ascent today will be 697m/2,300ft and 6-7 hours walk. Breakfast, lunch and dinner. Dinner and overnight at Shira One Camp. Approximately 12,500feet,Approximately 3,810 meters, hiking time: 4 to 6 hours – You’ll enjoy a four to six hour walking safari that takes you through the shrubby heather zone across Shira Plateau and one hour up the western slope of the Kibo Massif. Your hike today marks a dramatic change in environment. You’ll leave the shady canopy of the forest and trek across the haunting moorlands to the expansive Shira Plateau. Also, there are fascinating geological features in the old volcanic caldera which can be viewed during a half-hour optional walk in the afternoon. Shira Camp is at a confluence of trails. Other parties may be camping here. Your camp is just above Shira Hut at about 12,500 feet. The ascent will be 840m/2,500ftand 4-6 hours walking. Optional afternoon hike up to Shira Cathedral (about two hours) or Shira caves (about 30 minutes). Breakfast, lunch, and dinner. Dinner and overnight at Shira Two Camp. Approximately 13,000 feet, approximately 3,962 meters, hiking Time: 5 to 7 hours – Arise early enough to enjoy a mountain sunrise. After breakfast you will trek towards the main peak, with the western glaciers clearly visible across the rugged high-altitude desert to volcanic rocks and boulders. Skirting around its base and under the imposing Western Breach, descend into the sheltered Barranco Valley for mid-way camp. At this latitude, it is the southern side of the mountain that is cooler and more glaciated. You are entering the arctic zone, a place of boulders, lichens, and ice. The rarefied elevation is where experience pays off. It is assuring to know that your guide has scaled this peak over 100 times. Now you’ll begin learning from an expert the mountaineering secrets that lead to safety and summit success. Breakfast, lunch, and dinner. Dinner and overnight at Barranco Camp. Approximately 13,000 feet, approximately 3,962 meters, hiking Time: 3 to 4 hours – Today you will climb the steep Barranco Wall which includes some sections of very easy scrambling. You will drop later in the day into the Karanga Valley. This is a short walking day, of 3 to 4 hours. Remember the safety gear that was packed before you arrived? Here you will get a demonstration of all the high altitude safety equipment. The hyperbaric bag and oximeter are all ready to go. A short lesson will familiarize you with it all. We demonstrate every aspect of mountain safety here. Your guide, a certified mountain medic, will brief you on every detail of how to keep your journey safe. After the safety equipment demonstration you can take an optional acclimatization hike halfway up the Barafu Camp trail for an additional 1,000 feet altitude gain. Breakfast, lunch, and dinner. Dinner and overnight at Karanga Camp. Approximately 15,200 feet, approximately 4,633 meters, hiking Time: 3 to 4 hours – Climb up to Barafu camp, perched high on a rocky bluff. You will gain fantastic views across to Mawenzi Peak. Today is another short walking day, with less exertion and a good rest in the afternoon before summit day! Don’t expect to have a lot of energy at this altitude. Most people simply rest for tomorrow’s ascent. Camp staff will take turns monitoring the camp all night long so that everyone is safe, comfortable, and well rested. Breakfast, lunch, and dinner, spending half the night at Barafu Camp. Summit at 19,340 feet, Summit at 5,895 meters, overnight at the oxygen rich Mweka Camp at 10,000 feet- Mweka Camp at 3,000 meters – hiking Time: 7 to 10 hours – Arise around midnight. After a meal we’ll start to climb upward on the frozen scree. We’ll be climbing for 6 to 7 hours, aiming to reach Stella Point on the crater rim for sunrise – another 45 minutes to an hour and you’re at the highest point on the continent. The view from the roof of Africa takes in all of East Africa; north across the plains of Kenya, west to the Rift Valley, south into traditional Tanzania, and east to the coast. Photos and snacks at the summit before you begin the descent to Mweka Hut at 10,500 feet. After the summit, a welcome, but long, downhill hike awaits. Begin descent over 2 -3 hours back to Barafu camp for lunch. After lunch, continue trek descent over 3 – 5 hours to Mweka Camp on the southern slopes of the Mountain. This is a long hard day. Enjoy dinner and a good night’s rest. Breakfast, lunch, and dinner. Dinner and overnight at Mweka Camp. Mweka Park Gate at 6,500 feet-Mweka Park Gate at 1,980 meters-hiking Time: 4 to 5 hours Distance: Approximately 6 miles – A final morning descent of 4,500 feet brings you back into the southern slopes of the montane forest zone and the park gate of Mweka. The park warden provides climbing certificates for the successful summit. Arrive back at the Mount Meru Resort for lunch. After lunch, you will have time for a hot shower and packing for your evening flight. Celebration dinner and award ceremony for your climbing certificate. Transport to Kilimanjaro Airport for departure home.